This is a suggestion from BollywoodNewbie (thanks BollywoodNewbir!) and it is a fun one, because the Bhatts are just so weird. Weird weird weird. And also, thank goodness, honest and open, so we know all about their wonderful weirdness. They are that one family you knew in high school that always had a messy house and strange food for dinner, but were super laidback and cool and it was more fun to be over at their house scrounging for food and painting on the ceiling than at home. Usual Disclaimer: I don’t know these people, I have no special knowledge, this is just what is generally known of them. The Bhatts are true-blue film folk, along with the Kapoors and the Mukherjees and the Samarths, they are the last remnants of the first era of Hindi film. And like the rest of those families, they represent a family history and legacy that sets them apart from newer entrees into Hindi film. Filmmaking isn’t high Art, it isn’t glamorous, it isn’t even something that will make you rich. It is gritty dirty practical work that you do because you love it, and because it is all there is left for you to do. The Bhatt film family was founded by Nanabhai Bhatt in the 1940s. He came from a village in Gujurat down to Bombay to find work, and the new film industry was hiring. He got his start in “stunt” films, the cheesy fun movies with Fearless Nadia swinging her whip and titles like “Rocket Girl”. He wasn’t rich and he wasn’t famous, and he wasn’t even terribly respected. But he made a good living for his family, and that was what mattered. And he was able to love where he wished, and that also mattered. Nanabhai was born a Brahmin. He married a Brahmin woman, as was correct. And then he fell in love with a Muslim woman. Mahesh fictionalized his childhood in his brilliant film Zakhm, turning it into painful drama. But the undramatic reality was hard enough. Nanabhai had two wives and two families, and the second Muslim wife was cut off for being Muslim and a second wife. In the end, Mahesh and his siblings refused to choose between two families. He is closest to his full brother Mukesh and sister Seena Suri, and maintained close ties to his mother’s sisters and their children (Emraan Hashmi, Milan Luthria are from this branch), but he has maintained ties to his half-brother Robin Bhatt as well, Robin wrote the script for Mahesh’s first film. This kind of messy background was not uncommon among the Hindi film community in the 1950s. Today families like the Bhatts are seen as spoiled and isolated and cut off from the real problems of the world. They aren’t. The old film families turned to film because there was nothing else, and they survived by the skin of their teeth. Ranbir is spoiled and rich now, two generations back his 8 year old grandfather watched his brothers die in a squalid one room apartment. The Bhatts aren’t even that far away from it, until just about 30 years ago they were surviving day by day, and just barely surviving. Life was pain and sacrifice and all you had were each other. I’ll put it this way, while Kangana Ranaut’s grandparents were living in their mansion with their comfortable government jobs, Alia’s grandparents were marrying for love and being rejected by society until the only place they could find work was film. Alia was made fun of for being in Gully Boy, but her father graduated from the same Bombay high school as the rapper Divine that the film is partly based on. The Bhatt kids of that generation didn’t really get a launch in life, let alone in films. They kind of stumbled and fell out of the family household and then reached out and clung back together later as they tried to remain afloat. Mahesh left in the most spectacular manner. The child of a Hindu and a Muslim, he fell in love with the one person even more unacceptable, a white woman. Lorraine Bright and he met while still in school. They hid and flirted and tried to find times and places to be together. Mahesh was working already, started working on film sets on school vacations to make spending money. And when he was finally working regularly as an assistant director/secretary on film sets, they eloped. Lorraine changed her name to “Kiran” and when Mahesh was 23, he had his first child, Pooja. Kiran had another child, a son Rahul, a few years later. By this point, Mahesh and his brothers Mukesh and Robin were all struggling to support their families and survive in the film world. Mahesh was the first to find some kind of success, he made his first film at 26. It didn’t release until 14 months later because the censor board refused to let it come out until the central government stepped in and it released in the middle of The Emergency. The first time, but not the last, that Mahesh’s art would run afoul of the censors. Meantime, Mahesh was picking up work here and there and everywhere, trying to support his wife and baby daughter. He didn’t get his first hit until 1978, a lighthearted crime film starting Rishi Kapoor (future father of his daughter’s boyfriend) Naya Daur. A year later he made the film that really got him noticed, Lahu Ke Do Rang, starring Shabana Azmi (whose stepdaughter would direct Mahesh’s daughter Alia in Gully Boy) and Helen (whose stepson Salman will co-star with Alia in the upcoming InshAllah). Now all of these people are powerful and envied. 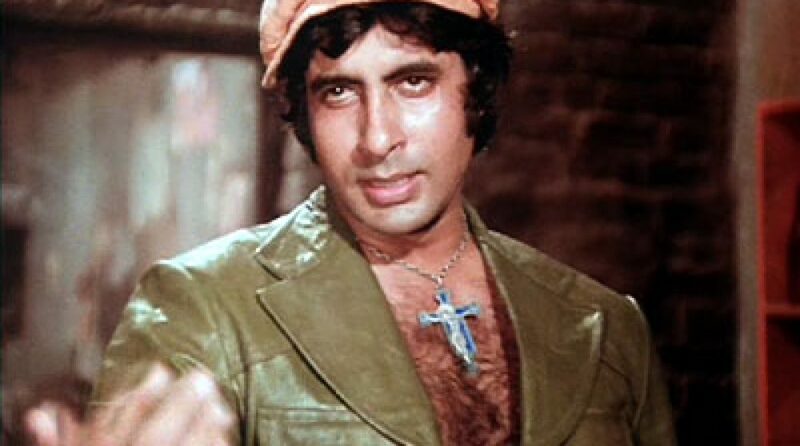 Back in 1979, Rishi was a young man struggling to find an identity outside of his powerful father and avoiding marriage in fear of becoming as abusive as his father was, Shabana Azmi was an outsider actress desperate for a chance, and Helen was an aging item girl no one took seriously and desperate for money. It wasn’t a collection of bright shining happy people. Mahesh was in real trouble himself. By the late 70s, he was both an alcoholic and an adulterer. Parveen Babi was one of the most stunningly beautiful actresses in the film industry. And she wasn’t just beautiful, she was intelligent and curious and brave and talented too. Babi came from an educated Muslim family with royal connections, she herself had a college degree in English (not that common for woman in India in the 1970s). She met Mahesh back when he was “just” a secretary and assistant director moving around sets. Her encouragement helped him to branch out and start directing. And they started an affair. It was passionate and wonderful, while it lasted. But it couldn’t last, their competing personal demons drove them apart. 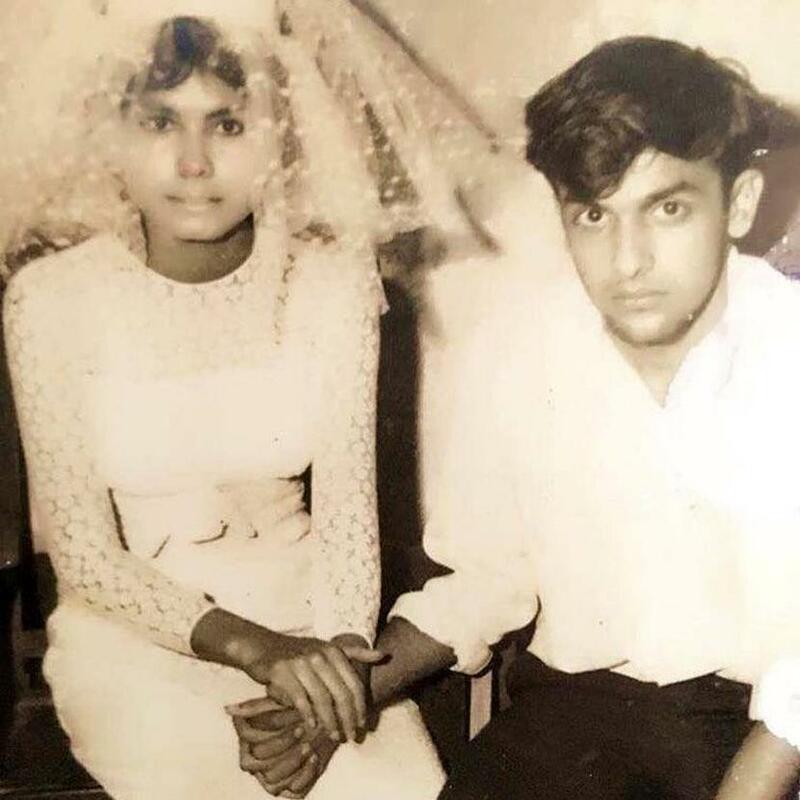 Poor Parveen Babi, beautiful and talented and intelligent, was also mentally ill. Mahesh Bhatt was trapped in a terrible situation, he had only enough energy to save one person and he had to chose between his wife and children, his lover, and himself. He picked himself. But then, he had to. His alcoholism was growing and growing, he couldn’t save anyone else while he was so broken. Mahesh left Parveen to struggle with her illness as best she could, left his wife and daughter and son, and went on his own journey. It was a bit of a bumpy one, as these tend to be. He left it all behind to focus on his own alcoholism, but the guilt he felt over abandoning the two women and children who loved him sunk into self-hatred which made him drink all the more. He needed something to help him find peace with what he had done and started looking all over for it. Mahesh was raised trapped between Islam and Brahmin Hinduism, and neither religion was kind to his family. The mother of his children was Christian converted to Hindu. He had tasted all the familiar traditional flavors of spirituality and they had left a bitterness in his mouth. So when he hit rock bottom, when he was looking for anyway up and out, he looked outside of the standard religious leaders. Mahesh’s first stop was the Rajneesh compound in Pune, just like many other film folk of that era. Unlike his friend Vinod Khanna, Mahesh was saved before Rajneesh could destroy his life. Mahesh found UG Krishnamurthy instead. UG is one of those people in the world who are, truly, spiritual guides. He wasn’t a saint or a seer or ever claimed to be those things. He was just someone who cared about people and wanted to help them, and had the ability to know the exact right way to do it. He had Mahesh flush his Rajneesh beads down the toilet and forget all he learned there. And he taught Mahesh to accept, to accept everything, to be honest with himself, to understand himself and care for himself. He stayed with Mahesh until Mahesh was cured, and Mahesh repaid him by spreading his teachings. Krishnamurthy never founded a compound, never became rich, never even gave public talks. He would just travel around and meet with people who needed him and help them. Mahesh finally recovered from his alcoholism. And part of that journey was a painful exploration of of his past and his sins, which took place on film. His first autobiographical film was Arth, in which he took the unusual challenge of looking at the failure of his marriage through the eyes of his wife. Shabana Azmi plays a young wife who has no family beyond her husband, who must learn to build a new life after her husband leaves her for a troubled young actress played by Smita Patil. The movie has no sympathy for Mahesh, while still not drawing him as an inhuman villain. He is caught up in love, forgets his wife at home, and then struggles with the best way forward after learning his lover is mentally ill and the guilt over their affair is exacerbating her condition. His next autobiographical film was a TV film called “Daddy” which starred his own 16 year old daughter playing herself. The first film was about his guilt for the people he left behind. This film is about his struggle with that guilt and eventual recovery from alcoholism as he starts to look forward to the people he still has with him. Anupam Kher plays the Mahesh character, a man whose wife died of mental illness, leaving her parents to take away their child as Anupam sank into guilt and alcoholism. Now he must try to somehow overcome that guilt and his addiction if he wants to build a relationship with his estranged daughter. This was Mahesh’s life in the mid-80s, letting go of his first wife, letting go of his guilt over Parveen, but finding a way to still be there for his children. Mahesh found his whole family again in the mid-80s. That was also when he and his full brother Mukesh and half-brother Robin united and began working together. Mukesh was the more stable one, he founded Vishesh Films in 1986 (named after his young son). But Mukesh and Robin were the brilliant ones, it was the films Mukesh directed and Robin wrote that brought money into the family, finally. Their first big hit, in 1990, was Aashiqui. It was another personal film for Mahesh but now, finally, with his daughter back by his side and a new wife who loved him, Mahesh was able to look back to a happier time with no shadow of guilt over it. Aashiqui is the story of his young love for a Christian girl, teenagers kissing under a jacket on a rainy street, no idea of the disasters coming their way in later years. Aashiqui was the end of bad times for the Bhatts, at least for a little while. This entry was posted in Uncategorized and tagged Aashiqui, Hindi Film 101, Mahesh Bhatt, Pooja Bhatt, Soni Razdan by mredlich21. Bookmark the permalink. Beautiful post. Can’t wait for the second part. Mahesh Bhatt seems to be such sensible person. I feel like watching more his films now. His films are definitely uneven. You’ve got stuff like Arth and Zakhm and Sadak that are just brilliant. And then there is Duplicate, that he had a vision for but it isn’t exactly genius. Janam is one of Mahesh’s lesser known, but accurate work covering his early years as an unemployed young man struggling to come to terms with his mother’s loyalty to his spineless father,struggles with his father’s second family (in this version Mahesh’s mother was the first wife,But it was a temple wedding and not perhaps legal) and finally tasting success and getting acknowledgement from his father. Kumar Gaurav was brilliant as early Mahesh, but the film didn’t do well. As you say Mahesh doesn’t paint himself saintly in his autobiographies.He fudges details.But he’s basically true. I love Mahesh’s autobiographical films, because he seems to focus on the feeling of that moment in his life and then let the details arrange themselves around that. Makes it far more universal than if every movie was about having cross-religious parents and marrying young and being an alcoholic and so on. “Daddy” is my favorite, and it changed all the details around, except for the fact of being an alcoholic who felt guilty for abandoning his child, and coming to terms with that. This is fantastic and now I have a list of Mahesh Bhatt films to watch. I’ve only seen Sadak and Dil Hai Ki Manta Nahin. PS, this interview with Pooja is really something. I wonder what she thinks of Alia’s career? I’m guessing she approves of Alia’s work ethic. Alia gets a lot of grief for being so ever-present in the media, but sounds like on sets she is a dream. And she certainly isn’t picking movies for publicity campaigns, it is all favors for friends or else challenging roles. Glad you liked it! And I really should attempt something similar for the other older families with new stars, Aamir’s family for instance could fill out at least one post I think.